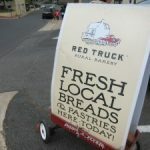 With the term “culinary destination” so overused, it’s refreshing to visit a town that is a bona fide foodie hotspot. 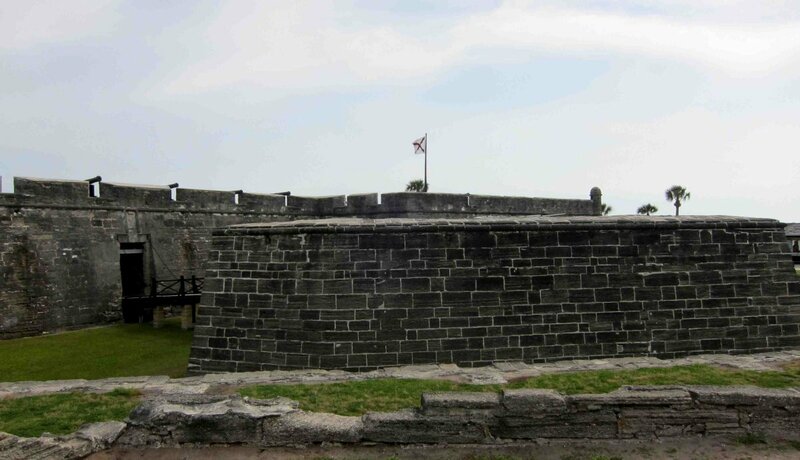 As America’s oldest city, I was not surprised to discover that St. Augustine is loaded with perfectly preserved forts, historic sites and European flair. 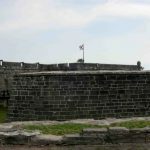 St. Augustine is in Florida, so the glorious beaches and pristine waterways that surround the city were appreciated, but expected. What grabbed my attention are the big things this small city by the sea is doing in the culinary arena. For a locale of only around 15,000 residents, the number and quality of restaurants is startling. Locals will proudly tell you that this town is a magnet for chefs from around the globe. They are drawn here thanks to the ultra-fresh seafood, fertile farms and high quality Florida beef. These ingredients are the dynamic foundation for an ever-expanding restaurant scene that is loaded with regional and international influences. Think New Orleans, minus a spoonful of lust. Epicurean adventurers with a penchant for the fiery shouldn’t leave town without trying one of several dishes that utilize datil peppers. Originally brought to the area by Minorcan immigrants, these piquant peppers add feisty touch to delectable dishes that you can only taste here. Get your appetites ready and let’s get started on a flavorful journey to St. Augustine. The following eateries are clustered along the cobblestone streets of the main tourist area. Part of St. Augustine’s charm is the maze of pedestrians, live music and ambiance, so allow ample time to get lost. The Columbia was originally founded in Tampa in 1905, when it was a casual coffee and sandwich shop. The Tampa branch is still in operation and is said to be the state’s oldest restaurant. There are several branches of this small family-run chain, and the St. Augustine outpost is a beauty. It features elegant décor and a Spanish-style menu. Limber your palate with the “1905” Salad. It’s a hearty combination of ham, olives, Swiss cheese, tomatoes, garlic and lettuce, entertainingly mixed tableside. The paella a la Valenciana is prepared in a traditional paella pan and features clams, mussels, shrimp, scallops, chicken and pork, baked with Valencia rice and fresh vegetables. This is not the place to be shy, so let go of your reserve and dunk the delectable Cuban bread right in to get every last drop of flavor. The papery thin crust and soft center sops up leftovers perfectly. Portions here are gigantic, so consider sharing. The wine list is inexpensive, and the unusual white sangria made with cava is beautifully bubbly. 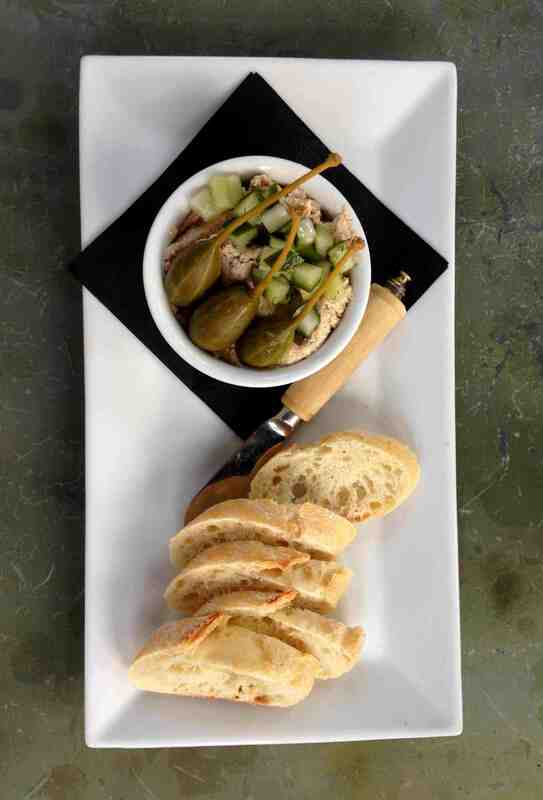 The Tasting Room is a must for the food obsessed. Charismatic Puerto Rican-born Chef Michael Lugo’s cuisine combine’s the best of his native island’s traditional techniques with pan-Mediterranean finesse. His new Chef’s Table menu has the town’s foodies abuzz. 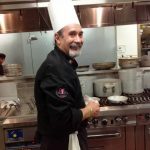 Book it and Lugo and his team will narrate an exquisite multi-course menu selected especially for you. In-depth descriptions, interaction with the chef and sophisticated wine pairings personalize this mouth-watering evening. Expect the meal to last for 3-4 hours, including the amuse-bouche, 4 courses plus an additional cheese course and dessert selection. The cost is $125 per person, a bargain with all of those fine wines. The experience is like an unforgettable evening of theater for your taste buds. Join the locals on line at The Hyppo for a thirst-quenching, heat-busting ice pop. These artisan popsicles are made with all-natural Florida fruits. Try the hometown favorite, an arresting blend of datil pepper and strawberry. There are hundreds of rotating, inventive combos, so repeat customers won’t be bored. 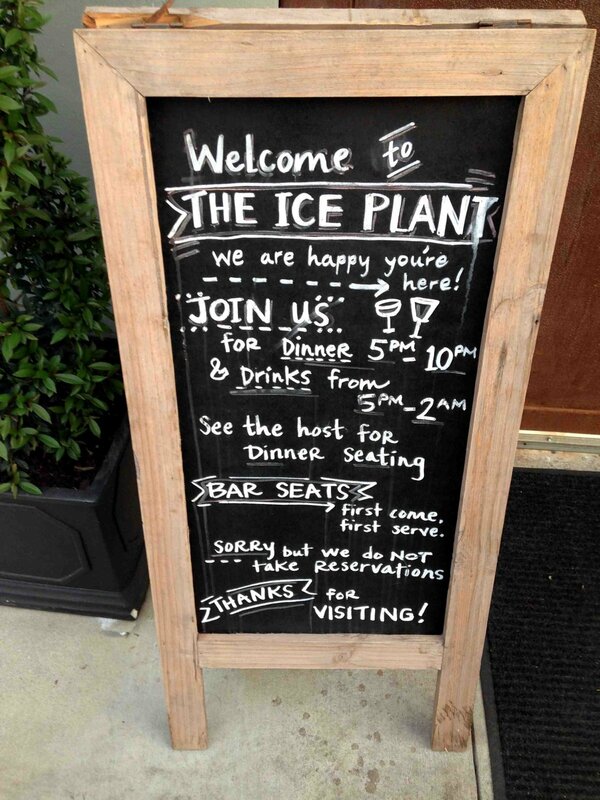 The Ice Plant features a farm-to-table menu and a grain-to-glass bar. 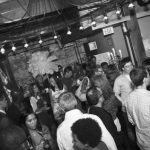 This popular hipster hangout has the feel of a speakeasy, right down to the bar staff being clad in old-fashioned suspenders. Housed in a former ice manufacturing plant, they adhere to the theory that ice is an integral component to creating the perfect drink. Bartenders cut the ice to specific size to precisely and properly dilute each drink. Lovers of local should order a Florida Mule, made with vodka from the St. Augustine Distillery next-door plus fresh ginger, mint and lime. Pair your cocktail with something from the casual and inexpensive menu of bar snacks. Burgers are a treat, prepared with grass-fed Georgia beef, served alongside crispy hand-cut fries. Shrimp n’ grits is loaded with sweet Florida shrimp, the grits extra creamy. Nearly all the produce, meats, fish and spirits come from local purveyors. This is not the night to skip indulging in one of the homemade desserts. 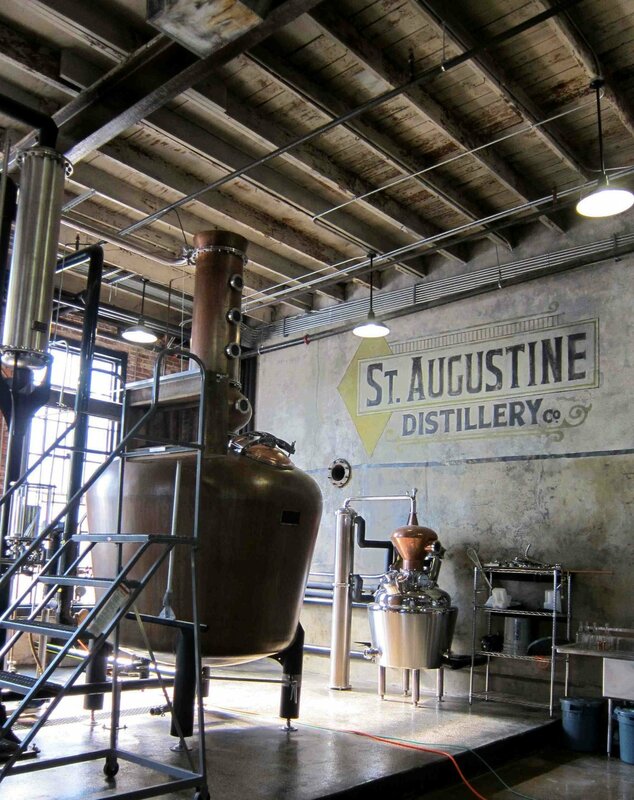 The St. Augustine Distillery just started producing premium, small batch spirits. 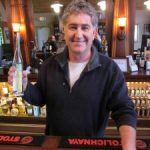 The distillery is a locally owned business collaborative that purchases ingredients from nearby farmers. Take the free tour and watch them mix, mash, cook and distill small batch vodka, rum, gin and whiskey. 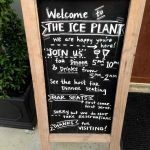 They share the building with the Ice Plant, so it all takes place in a historically renovated 100-year-old ice manufacturing plant. The tour is offered daily and includes a generous tasting of vodka. It is the only spirit that is currently ready, but you can see the others resting in their barrels. The vodka is distilled with locally grown sugar cane, which imparts a distinct and delicious hint of molasses. You may purchase up to two bottles to take home. If you want to stay beachside, the Hampton Inn St. Augustine Beach offers a sunny beachfront location on the A1A and excellent value. It is magically situated across the street from the Sunset Grille, so late night Minorcan chowder runs are a snap. A copious buffet breakfast is included in the room rate. 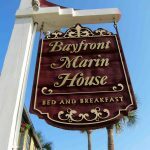 If you prefer to stay in the Historic District, there are dozens of fine B and B’s. 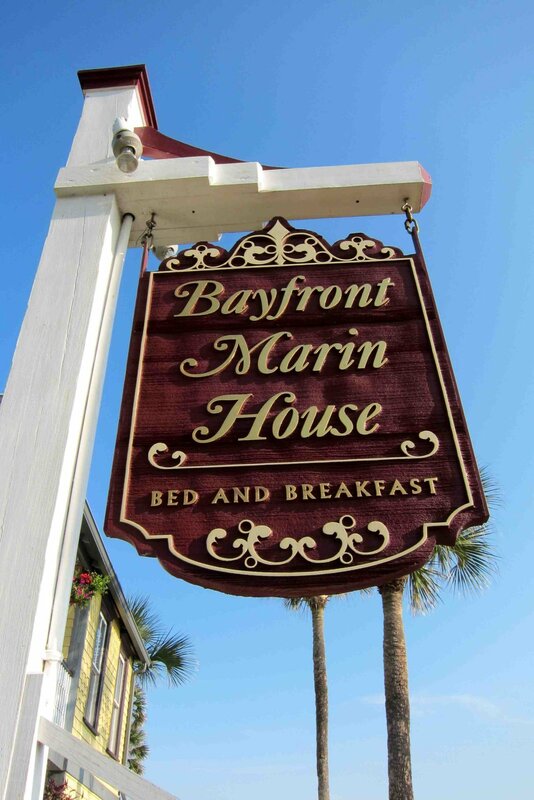 The Bayfront Marin House is an excellent choice. 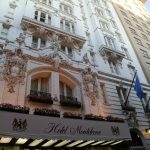 Rooms have water views, fireplaces, large soaking tubs and many more amenities. The Southern-style breakfast is a treat, so your food infused day with start off on the right foot. 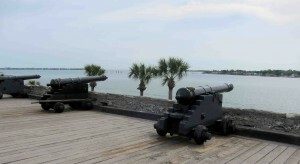 For helpful trip planning information, go to www.Floridashistoriccoast.com. 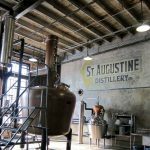 The St. Augustine Distillery and Ice Plant Bar are definitely fun places to visit. The distillery tour is informative and fun with delicious fresh cocktails to sample. For lunch, try the Ice Plant Bar upstairs. The crispy grouper tacos are crazy good and big! I forgot to mention another place where we enjoyed a fabulous lunch: Beaches at Vilano. It’s a cool drive over the A1A bridge and sits right on the intracoastal waterway. I had some crazy good shrimp tacos and my wife enjoyed the classic fried shrimp. We liked it so much I added it to my website under the Dining category, http://staugustineadventure.com/beaches-at-vilano/. We can’t wait to try it again!